Why Browse Our Inventory of 35 New Honda CR-Vs for Sale? Compared to competitors like the Subaru Forester, the CR-V is more power, efficient, and spacious. We have the Honda CR-V available to lease today, so schedule a test drive online to meet with a sales specialist and find your perfect match. 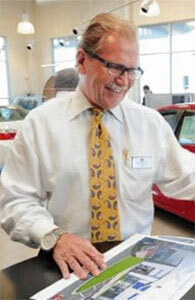 We strive to make the car buying experience a pleasant one for our customers in and near Bozeman, MT. The Touring trim level makes luxury features like rain-sensing windshield wipers and satellite-linked navigation standard, so you can travel to new destinations from Sheridan, WY in confidence. Give your family the luxury they deserve and the many advantages of a new SUV!